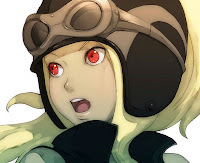 Gravity Rush's Kat Leaked For Playstation All-Stars Battle Royale? A screenshot of what appears to be Kat's profile on the official Battle Royale website has surfaced online. Admittedly, this is something that could be faked with a little effort, but the official site has already been at the centre of previous leaks, allegedly including previous hints of Kat's appearance. We had a good look around the official site but found no evidence of Kat's appearance - if this was another 'leak', someone's plugged the hole. Let us know what character you want in All-Stars in the comments below!